How do I start? 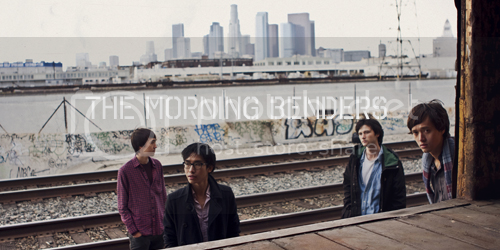 I love the Morning Benders. 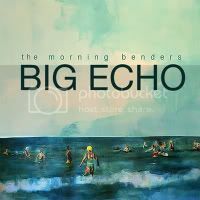 And although many reviews have pointed out how their new record, Big Echo may be deemed as too derivative or referential; but with all comparisons aside, this is truly a remarkable album. I keep returning to this record simply to revive that same glorious feeling that unravels throughout the entire course of the songs. And it gets better too by each successive listen. As soon as the album ends, you can’t help but start over again from the beginning. Opener ‘Excuses’ is an easy reason to devote your undying attention to this superbly talented quartet. ‘Excuses’ is a charming, wondrous affair that kicks off with swooping strings before giving way to soaring melodies and intricate percussion. The song is a true culmination of breathtaking music (that swirls and sways) coupled with a dazzling vocal performance. But to expect that every other song in Big Echo would adhere to the same template is a common mistake. The rest of the songs wander quite far from where it first started. But having said that, each track that follows certainly has something of their own to offer. Some may be more wondrous or heavenly than the other, but collectively, as a record it’s just…glorious. Every other person I know who’s watched this astounding performance for their song ‘Excuses’, have sufficiently fallen in love with both song and group. So there’s a chance you might too.